THE EARTH JUST PASSED A MAJOR CLIMATE MILESTONE | "Global Possibilities"
There’s no going back from this one. The world just passed a longstanding climate marker, further proof that atmospheric concentration of carbon dioxide has changed in a stunning, measurable way since the Industrial Revolution. Put another way: Children born today will likely never live in a world where the atmospheric concentration of carbon dioxide is less than 400 parts per million — a 42 percent increase from pre-industrial levels. Atmospheric concentrations of carbon dioxide — the amount of carbon dioxide molecules present in the atmosphere relative to everything else — have been measured continuously since the late 1950s, when Charles Keeling first devised a unique method of sampling carbon dioxide from the air. 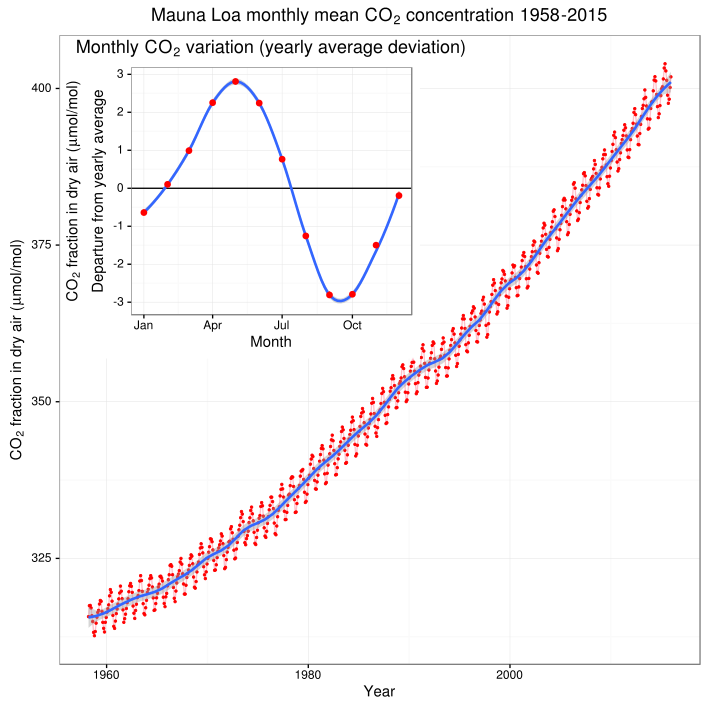 His measurements — first taken on top of the Mauna Loa volcano on the Big Island of Hawaii — eventually lead to the Keeling Curve, which some scientists have called “an icon of modern science.” The curve shows the rapid increase in atmospheric carbon dioxide since Keeling began taking measurements almost half a century ago. 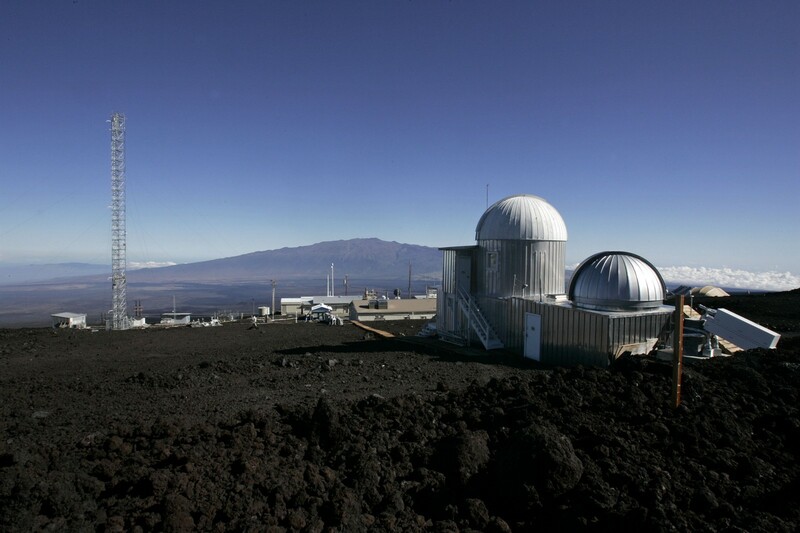 When Keeling first began taking measurements, atmospheric carbon dioxide measured at about 310 parts per million, meaning that carbon dioxide made up about .03 percent of the Earth’s atmosphere. That was already a marked increase from preindustrial levels, when atmospheric carbon dioxide measured about 280 parts per million. But that number has been rapidly increasing. In the late 2000s, climate scientist James Hansen argued that the world needed to stay below 350 parts per million to avoid the worst impacts of climate change (his warning is what gave 350.org, the global climate activism group, its name). Three years ago, Earth’s atmospheric carbon dioxide levels first exceeded 400 parts per million, but those levels quickly dipped back below the threshold, as atmospheric carbon dioxide waxes and wanes with the seasons. Which is why the fact that atmospheric carbon dioxide is still above 400 parts per million at the end of September is a worrying fact: September is usually the time when concentrations are at their lowest, as trees in the Northern Hemisphere have grown all summer, sucking carbon out of the atmosphere. In a blog post, Ralph Keeling, current head of the Scripps carbon dioxide measurement program and son of Charles Keeling, wrote that it is “almost impossible” that CO2 levels will drop below 400 in October. Realistically, crossing the 400 ppm threshold won’t result in any immediate climate consequences for the world — when levels climbed above 400 parts per million last year, climate scientists told ClimateCentral that the threshold is more symbolic than a physical trip line that will instantly trigger more massive storms or sea level rise. If nothing else, crossing the 400 parts per million threshold permanently is proof that humans — through the burning of fossil fuels — have had an incredible influence on the planet, and are actively shaping the world that we live in today. In addition to passing the 400 ppm line, the planet has seen historically high temperatures in recent months, with August capping of a 16-month streak of record hot months. Meanwhile, the Republican presidential candidate still ignores the dangers of climate change and consistently threatens to roll back the majority of U.S. domestic climate policy, as well as pull the United States out of the historic Paris climate deal. Is Health the New Design Imperative?